Meet Christie. She is a motivated junior majoring in Psychology. Because of her hectic schedule (balancing two internships, a research position, vice-president of student government, and training for a marathon), she does not have time to take her entire course load in person. Enter online courses! Christie’s solution to her packed, 24-hour days. Online courses, she thinks, will enable her to learn, explore a new field of study, and comprehend the course objectives, without having time to do any of that. Yeah. That is not going to happen. 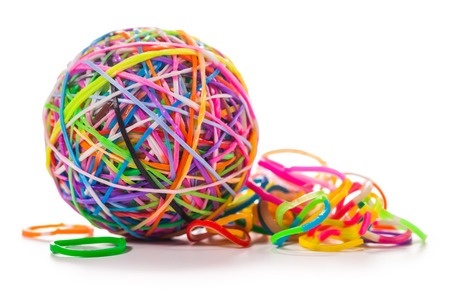 While a major advantage of an online course is its flexibility, the course is not a rubber band. It can be given in a number of different ways (synchronously, asynchronously. etc.) and often completed at any time of day (3 AM anyone?). However, despite some students’ perceptions, it cannot be completely contorted to bear no resemblance to a traditional course. Christie needs to play to her strengths if she wants to excel in the online environment. Prioritize – It is highly unlikely that Christie would ever miss a training meet because she knows that she needs to stay physically fit in order to run the race. So too, students need to view online courses as a priority in their weekly work-load. Schedule – Everything from penguin feeding at the zoo to FedEx deliveries throughout the country are successfully completed because they stick to a schedule. Since asynchronous online courses lack this critical quality, Christie must be sure to schedule it into her daily and weekly routine. Coach – Christie knows that she excels in an atmosphere where structure and guidance allow her to thrive. Students should not feel like an online course is simply a “Do It Yourself Course.” Rather, they should view their instructors as support and strive to stay connected with their teachers through emails, questions, discussion boards, and other course-related interactions. Teammates – In what industry are teammates unimportant? Christie needs to seize the opportunity to be a team player in her online classroom. By contributing her ideas, work, and support to her classmates, she will in return receive the assistance and encouragement that she needs to pass the course with flying colors. Goal-driven – Never does Christie wait until an ultimate objective is met in order to feel a sense of accomplishment. Rather, she takes pride in small victories throughout the journey. Online students should be proud of their achievements throughout the course, not only when they receive their final grades. Enjoy – Christie looks forward to her extra-curricular activities. She values her internships, delights in her hobbies, and had the opportunity to choose the school which she attends. If she can recognize the value and importance of her online course then it will shift from a burden to boon and become that much easier to do. With these suggestions in hand, Christie should be well-armed to shine in class. What advice would you give to Christie? ← Why are Assessments Important in an Online Course? Online courses is one of the best option for those people who are already working with some company but looking for more higher education.